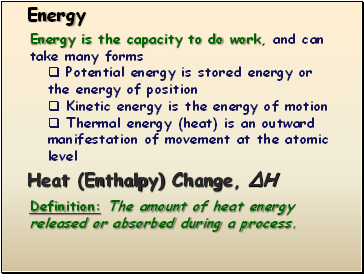 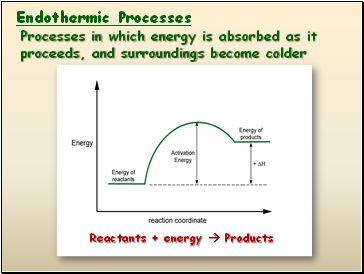 Definition: The amount of heat energy released or absorbed during a process. 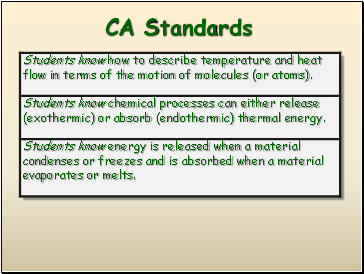 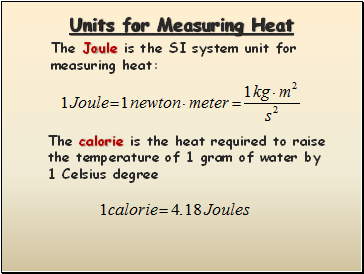 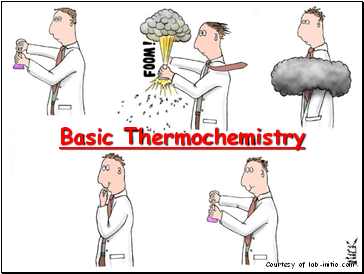 The amount of heat absorbed or released during a physical or chemical change can be measured, usually by the change in temperature of a known quantity of water in a calorimeter. 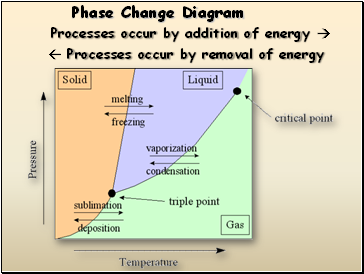 Temperature remains during a phase change. 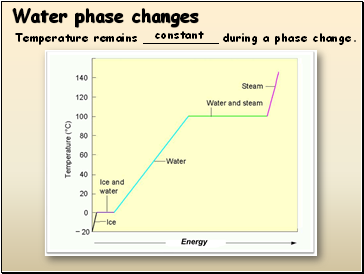 Represents phases as a function of temperature and pressure. 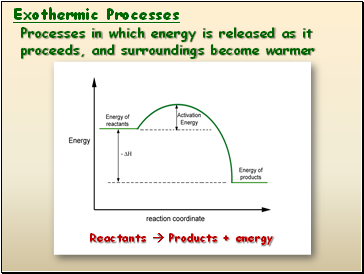 Critical temperature: temperature above which the vapor can not be liquefied. 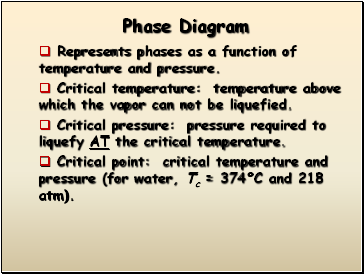 Critical pressure: pressure required to liquefy AT the critical temperature. 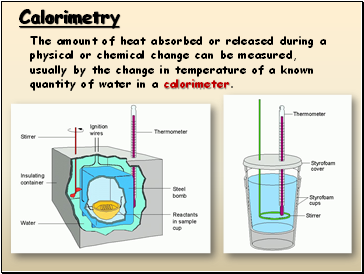 Critical point: critical temperature and pressure (for water, Tc = 374°C and 218 atm).